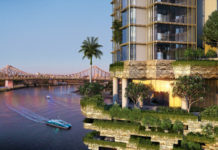 The 41 storey commercial building will house the Queensland Government Executive office, Ministerial offices and numerous government departments. The total number of public servants moving into the building will be between 5,000-6,000. The following government departments will progressively move into 1 William Street over the next six weekends. The early move is expected to allow work to commence on the Queens Wharf project, with the Government vacating a number of buildings scheduled to be demolished. Cbus Property CEO Adrian Pozzo said the early move had been arranged in cooperation with the Government to address their separate commitments. He said the new offices would provide a high performance workplace that contributed to better collaboration and workplace efficiency and allowed the Government to compete with the private sector in the battle for talent. “This has been an investment in efficiency because, in many cases, the Government is leaving old, inefficient and under-occupied buildings which are unattractive workspaces,” Mr Pozzo said. “One William Street was originally conceived as a building that would be leased to both the Government and the private sector, but by securing the entire building the Government has achieved value for money with competitive commercial terms on both the lease and fitout. 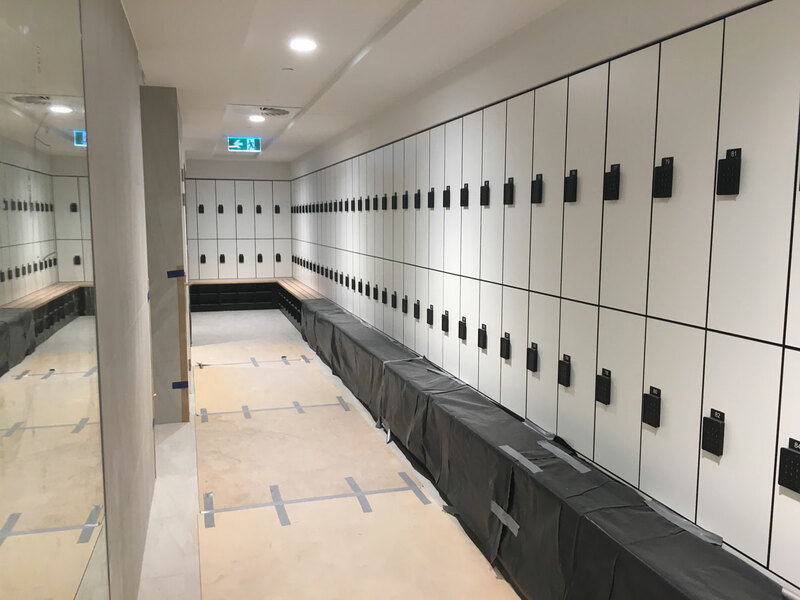 “Cbus Property is extremely pleased to have been able to facilitate the early occupation and everyone involved in the building is proud of the quality that has been delivered, “Mr Pozzo said. In 2012, the development was proposed by the former LNP Government who stated that without consolidating government offices, taxpayers would have faced a bill of over $1.2 billion ($60 million per year) to continue to house public servants in existing rundown government commercial space. The original aim of the government at that time was to foster a change of culture for government departments and its workforce in order to attract new talent and innovation. The tower has been designed by architectural and interiors firm Woods Baggott and constructed by Multiplex and has a total gross floor area of 119,977 sqm. Each level of the building has different Queensland themes taken from the state’s icons as well as natural flora and fauna. Examples of different level themes include a pineapple level, barramundi level and green tree frog level. A 5 star NABERS office energy rating and 3 star NABERS office water usage rating has been achieved for the tower, making it one of the city’s most environmentally friendly office buildings. 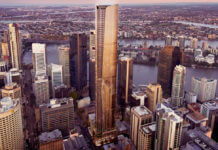 1 William Street is officially Brisbane’s tallest building due to it’s generous 90 metre spire however without the spire, 1 William Street is 224 metres high (AHD) which would make it Brisbane’s third tallest building behind Meriton’s Infinity and Soleil Tower. The government’s lease of 1 William Street lasts for 15 years. 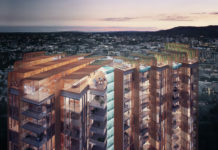 Cbus Property also have their 443 Queen Street residential tower project which is launching on the 12th of November. Images of inside 1 William Street were taken in the weeks leading up to completion and handover. Why is there oddly spaced chimneys (I’m guessing) on the top of the building? Once pointed out to me it really sticks out.